What app do you use to run a contest or a promotion on Facebook? If you’re in the US, you have quite a few options, but in other regions such as Latin America, the offer is much more limited. 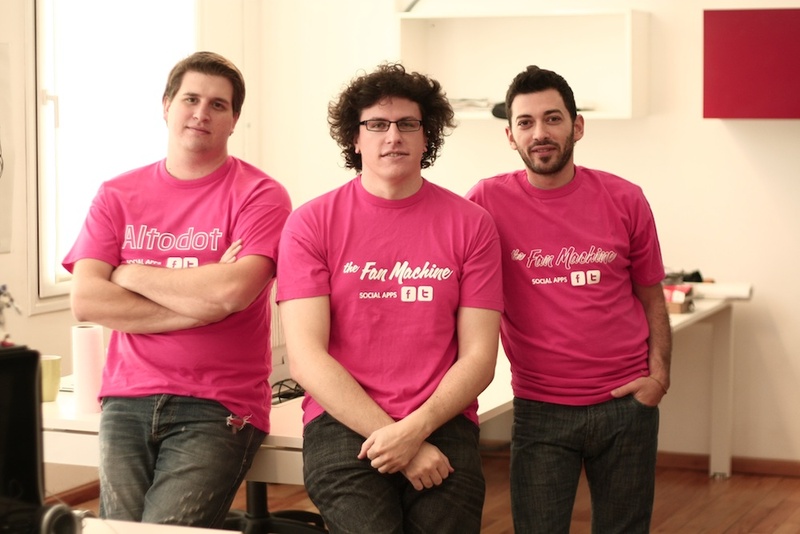 This is the gap that the Argentine startup Altodot hopes to fill with the product it just launched, The Fan Machine. So what does it do? At the moment, The Fan Machine is a platform that lets companies run promotions and contests on Facebook. According to Altodot, over 1,000 have already been created since the product’s launch a few days ago – including the leading Argentine newspaper Clarin. While many contests ignore Facebook’s terms and conditions and could get companies’ pages suspended, it is not the case with The Fan Machine, which respects the rules established by the social network. The startup actually received a seal of approval from Facebook itself, when Altodot was selected as one of its Preferred Developer Consultants in May 2011. To date, Altodot is the only Latin American platform to participate in this program, which gives it the opportunity to liaise directly with Facebook’s teams in the US and Latin America. As a result of Altodot’s Latin American origins, The Fan Machine’s platform is currently available in Spanish, Portuguese and English. According to the startup’s CEO Anton Chalbaud, The Fan Machine’s main target at this point is Brazil, where social networks are very popular and which he sees as a very attractive market. Although Facebook historically struggled to conquer the Brazilian market due to Orkut‘s leading position, it has finally started to gain considerable ground over the last months (see our previous post). As a matter of fact, the startup is about to open offices in Brazil, where it had already hired sales staff. Chalbaud himself was in Sao Paulo this week to attend the local edition of Red Innova’s conference. Altodot was one of the twenty finalists of the event’s Startup Competition (see our previous story). Although it didn’t win, it gave Chalbaud one more opportunity to pitch The Fan Machine and interact with dozens of other Latin American startups. Brazil and Spanish-speaking countries won’t be The Fan Machine’s sole focus; “since the platform is “in the cloud” and you only pay as you go, [Altodot] plans to market it all around the world,” Chalbaud said. Besides its English version, the team also plans to translate the platform into more languages soon. Brazil isn’t the only foreign country where The Fan Machine wishes to open offices. In the long run, it will also need operations in NYC, Chalbaud said, adding the company already has clients there and a few partnerships in the works. As for now, the startup is making the most of TechStars‘ entrepreneur network and learning from their experience. If The Fan Machine’s team has access to these entrepreneurs and mentors, it is because it is part of the portfolio of the Argentine startup accelerator NXTP Labs (see ur previous post about another of NXTP Labs’ startups, InBed.me). “I think that despite the chaotic macro economic environment we have in Argentina, it’s still a great place to start up a technology company. In Argentina you will find very good technical and creative talent, both key ingredients to a success in the online world,” he concludes. Would you use The Fan Machine? Let us know in the comments.